From the creators of BabyLit®, open a window on history while teaching toddlers the ABCs . . . 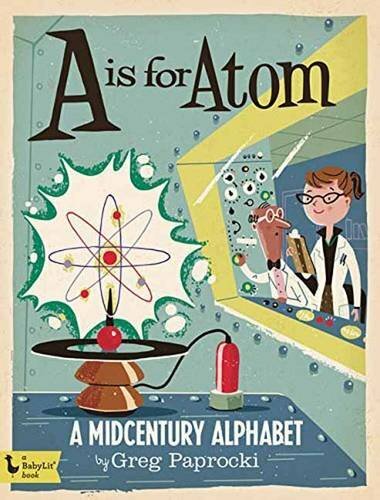 Teach brilliant babies about history and their ABCs with Greg Paprocki’s A Is for Atom: A Midcentury Alphabet. Twenty-six midcentury concepts paired with Greg Paprocki’s adorable illustrations include “D is for drive-in,” “R is for rock-n-roll,” and “S is for satellite.” Babies will love this board book’s engaging art, and parents will enjoy its slice of history with this primer’s midcentury theme. Collect all six of Greg Paprocki’s alphabet history primers!